Pro-Ject Phono Box ultra 500 is like no other phono preamplifier in its segment. 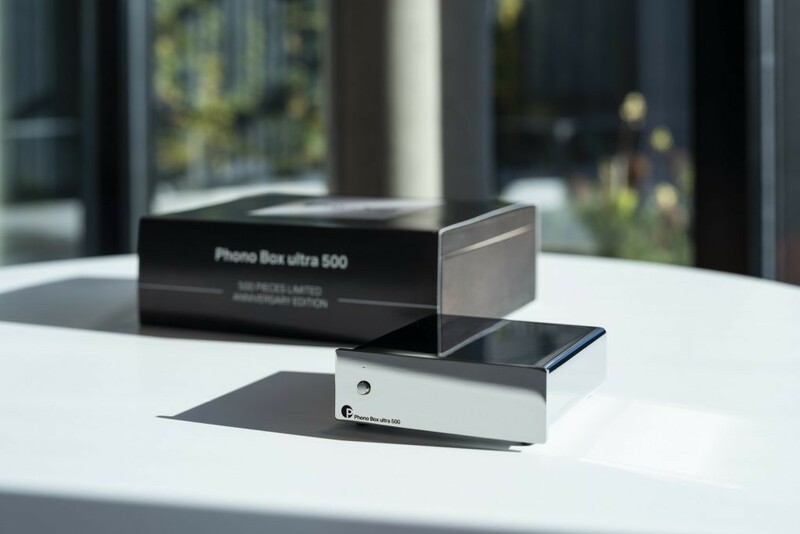 The "500" in the name as well as the general availability, worldwide limited to 500 pieces, celebrate the 500,000th Phono Box that Pro-Ject shipped in early 2018. Pro-Ject took this milestone as an occasion to create a one-of-a-kind phono preamp: The polished chrome surface outshines every competitor in this price segment and offers undeniable aesthetics. Underneath this surface, Pro-Ject have used a copper body, which is known to have high qualities in protecting against high frequency interferences. The internal design has been reworked to now offer a fully discrete, OpAmp-less design, which enabled Pro-Ject to acheive an incredibly harmonuous sound. 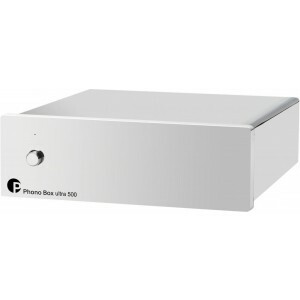 On top of leaving out operational amplifiers, they decided to use polystyrene capacitors, which significantly contribute to the high end sound Phono Box ultra 500 offers. These capacitors are known amongst audiophiles as the holy grail for phono preamplifiers. - No operational amplifiers used!